The two unrelated cases involve travellers who returned from South East Asia, taking the total number of people diagnosed with the highly-infectious disease in NSW since last December to 23. One is a teenager who returned from the Philippines and was infectious while on flight CEBU Pacific 5J41, which left Manila at 11:30pm on 16 March and arrived in Sydney at 10:30am on 17 March. The teenager was reported to have been vaccinated as a child, although the number of doses received cannot be verified. People who were on the same flight and at Sydney Airport’s T1 International terminal between 10:30am and 1:15pm should be alert for symptoms of measles until April 5. The second case involves a man in his 30s who developed measles after returning to Sydney from Thailand. His vaccination status is unknown. While infectious, he attended the My Health Medical Centre at Eastwood Shopping Centre. 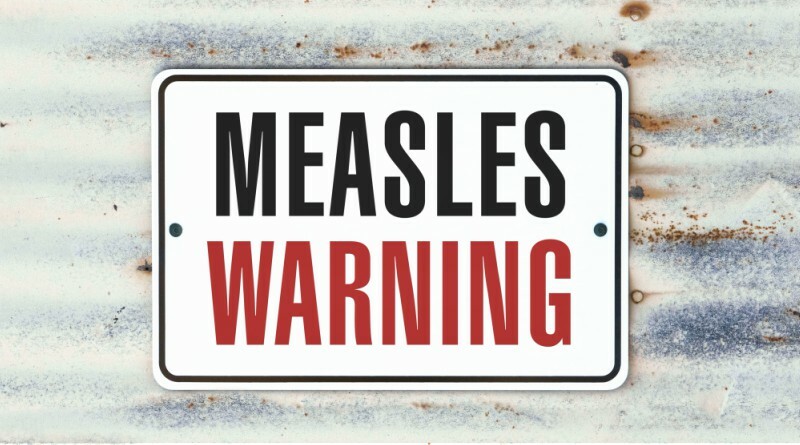 People who visited the centre on Monday 18 March between 12pm and 1pm should also be alert for signs and symptoms of measles until 5 April, as the time from exposure to symptoms can be up to 18 days. Public Health Unit staff are working with both medical centres to contact patients who were at the practice at the same time as the teenager and man to arrange preventive treatment as required. NSW Health Director of Communicable Diseases, Dr Vicky Sheppeard, said while these places do not pose an ongoing risk, people who may be susceptible to measles and were at the same locations at the two infectious people, should contact their local Public Health Unit for advice on 1300 066 055. Preventive injections can be given to highly-susceptible people up to six days after exposure.